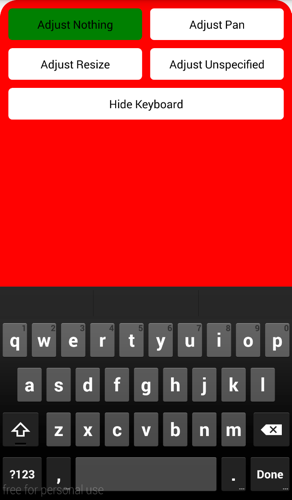 Change the input mode for the Android keyboard in a React Native app. If you are having issues with the default keyboard screen adjust modes and need an easy way to instantly switch them in your app. 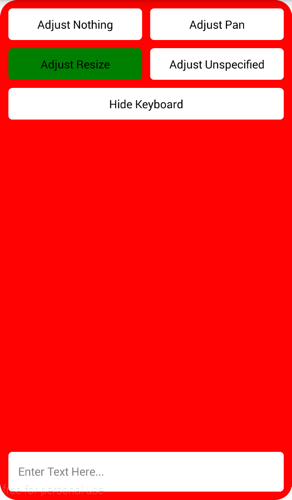 Quickly go from Pan to Resize to Nothing to get the screen displayed perfectly with the keyboard. 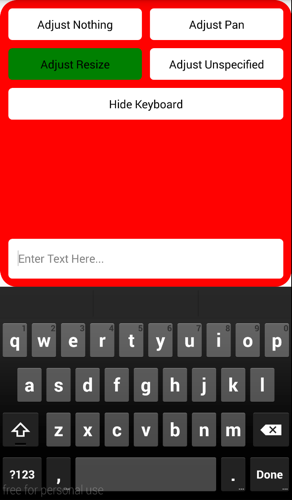 Software/virtual numeric keyboard, which can be used instead of Android/iOS ones if it suits your app style better. 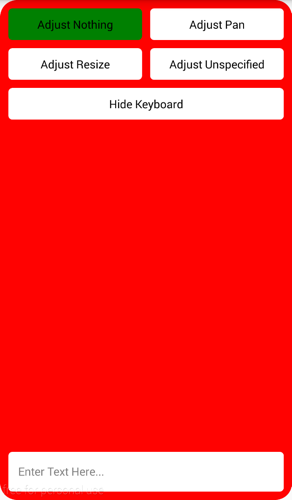 A React Native component onscreen keyboard for React Native that displays an onscreen keyboard and puts the input into a `TextInput` component. Get the user preferred languages and use the library of your choice to translate your app !